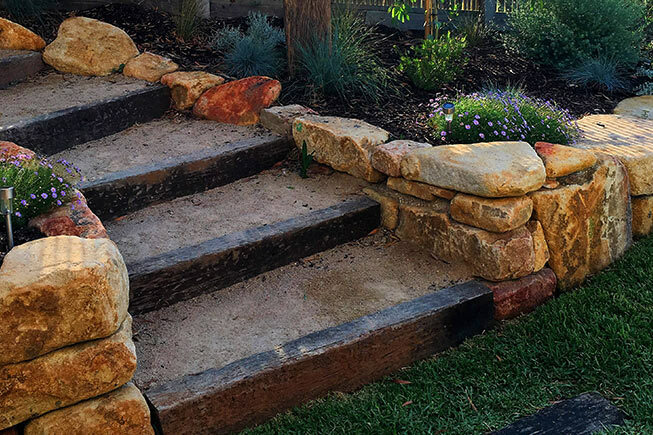 The property is on a hill, therefore we created terraced rock retaining walls to decrease excess water runoff and maximise water retention on the site. 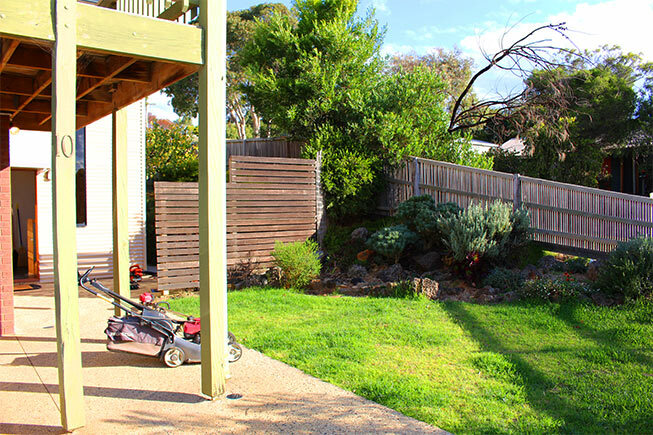 The terraced gardens also provide great conditions for healthy plant growth. 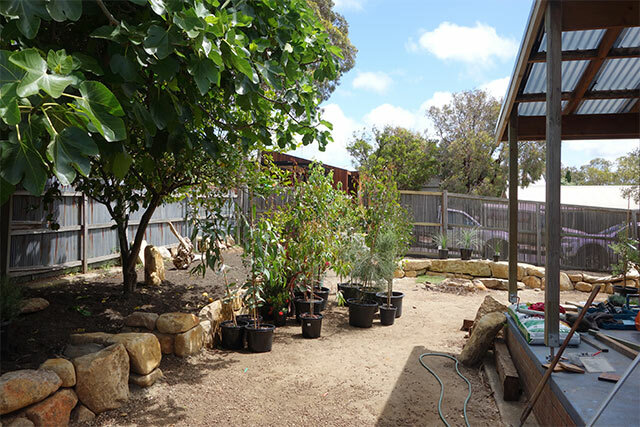 Raised garden beds allowed us to bring in new top soil and provide optimal growing conditions for the plants. 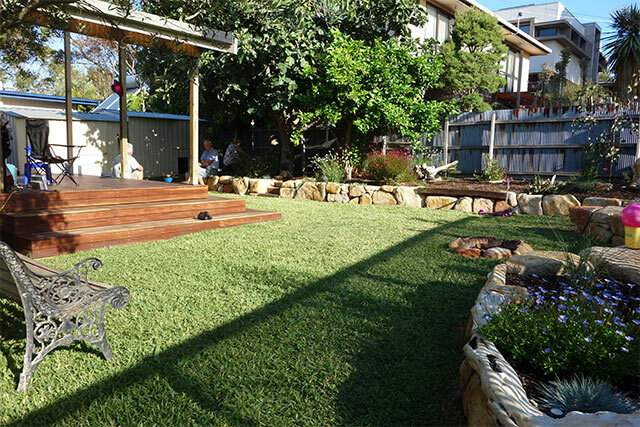 The brief was to design an interactive garden/play space for children/communal gathering space (fire pit) and also a bird attracting garden. 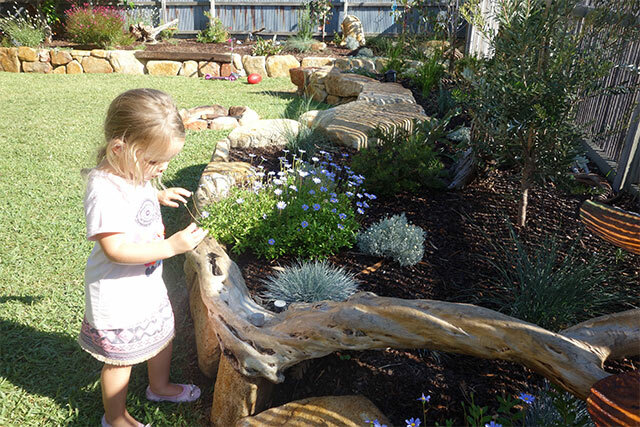 Native plants have been used to attract birds and provide colour and interest to the garden all year round. 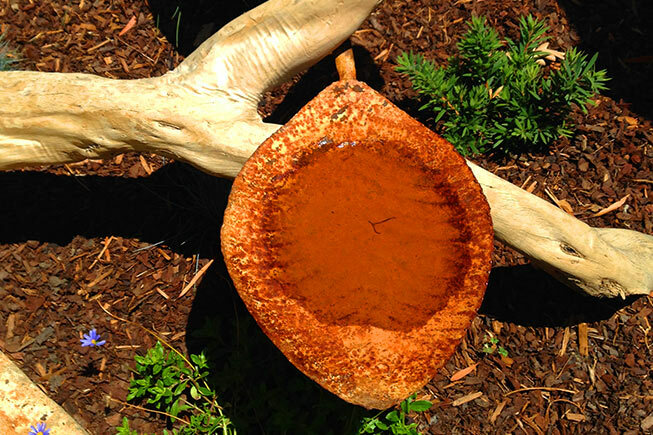 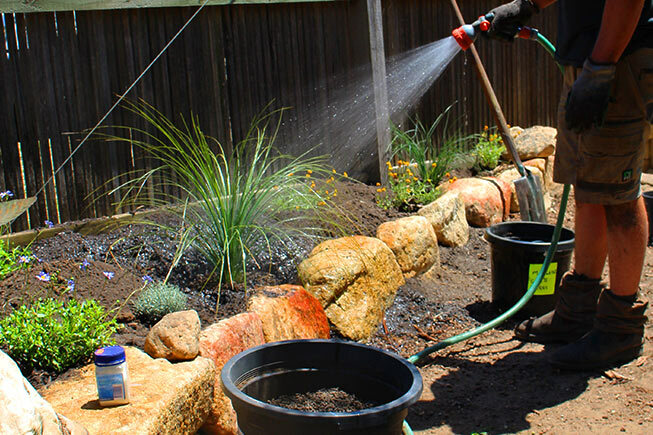 All species are drought tolerant and selected to thrive in this coastal environment. 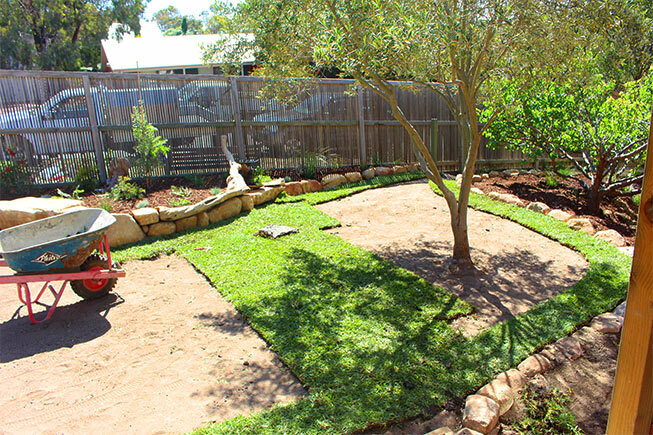 Large areas of new turf have been incorporated into the design to allow play space for kids. 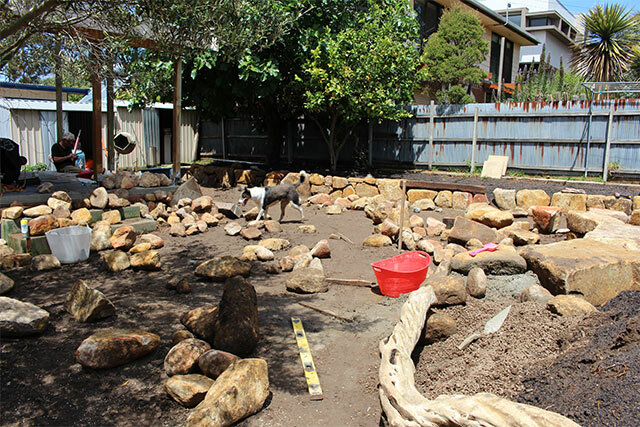 Due to the fact the land is on a slope, large-scale excavation works took place to create level areas for the new turf. 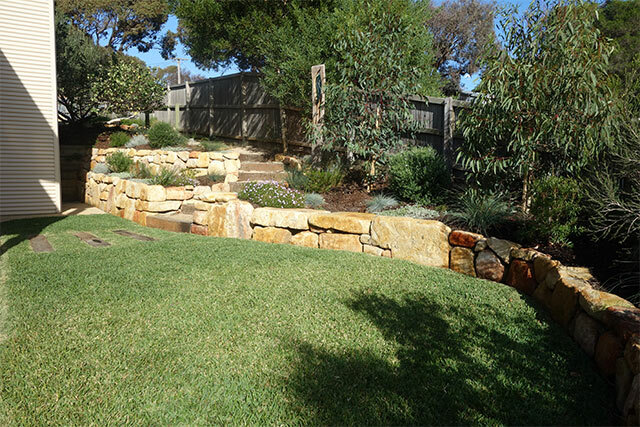 Yellow granite rock was selected to provide colour and texture to the garden. 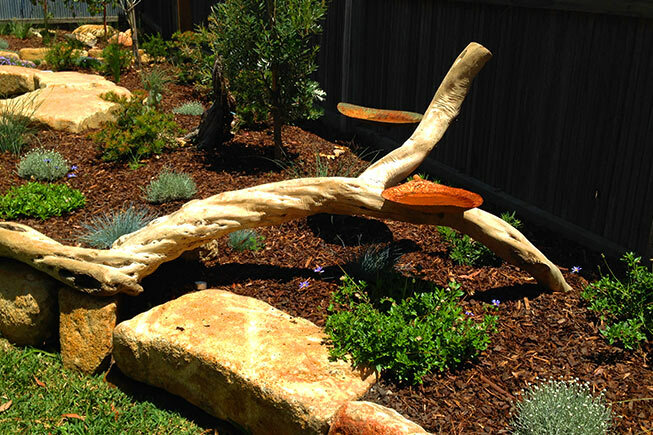 Timber elements (sleepers and driftwood) were incorporated into the design. 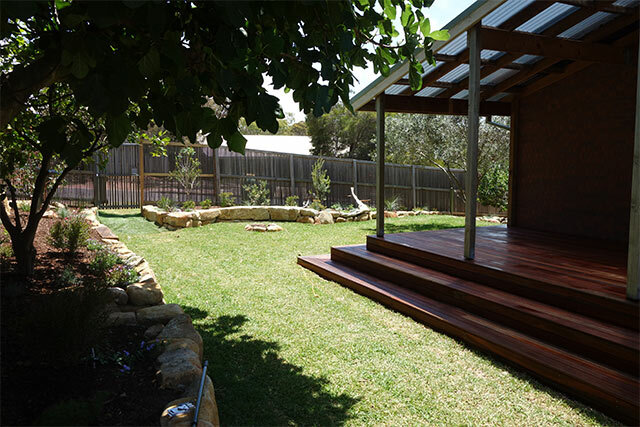 To maximise the outdoor living space we constructed a hardwood deck off the house. 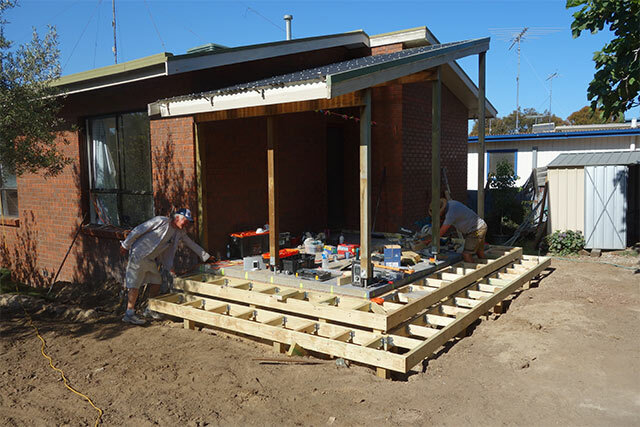 The deck is constructed at the same height as the floor of the house to maximise the indoor outdoor flow and optimise the use of the new area. 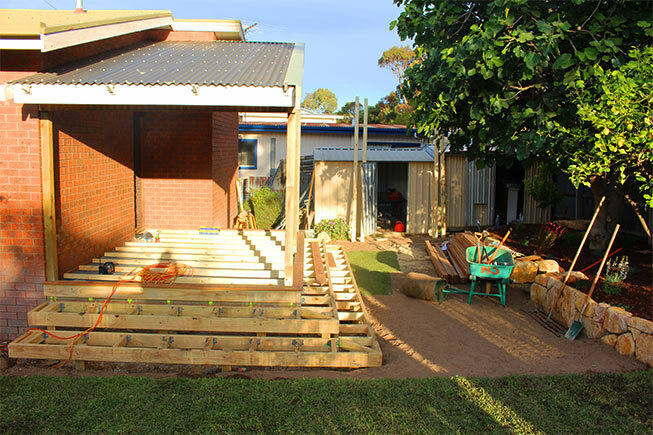 The gallery on the left shows images of the case study, the very first photo is of the finish, followed by before, construction, and after stages of the project. 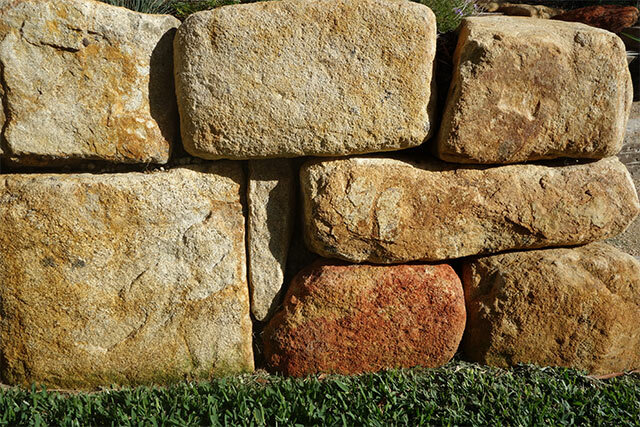 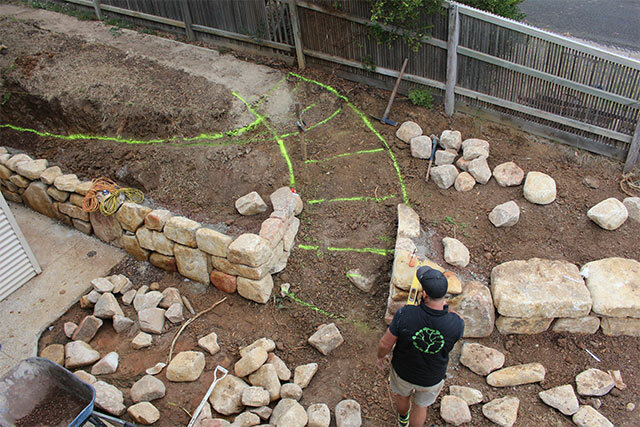 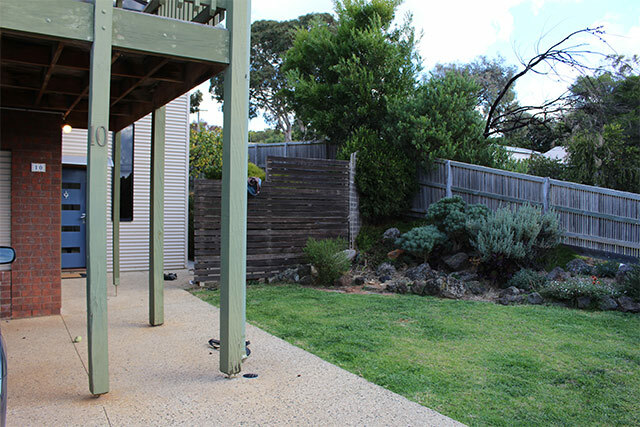 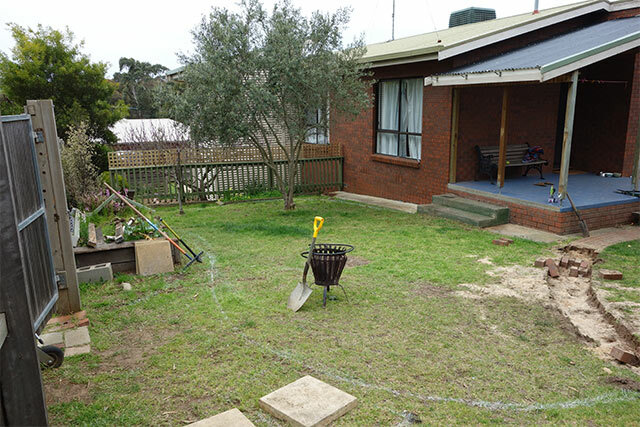 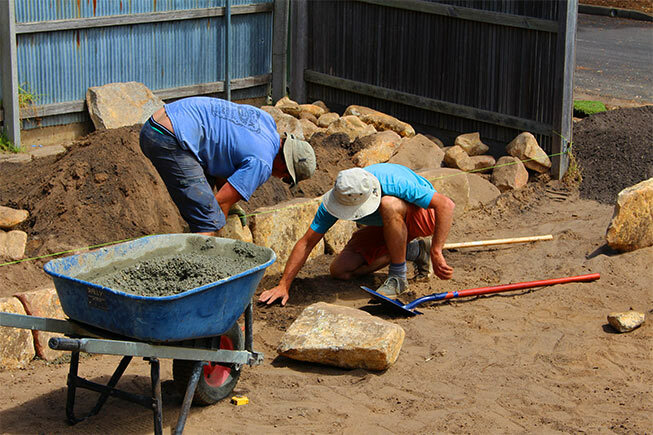 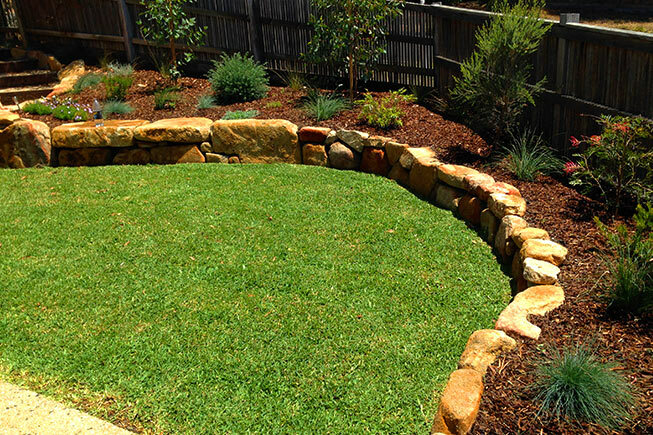 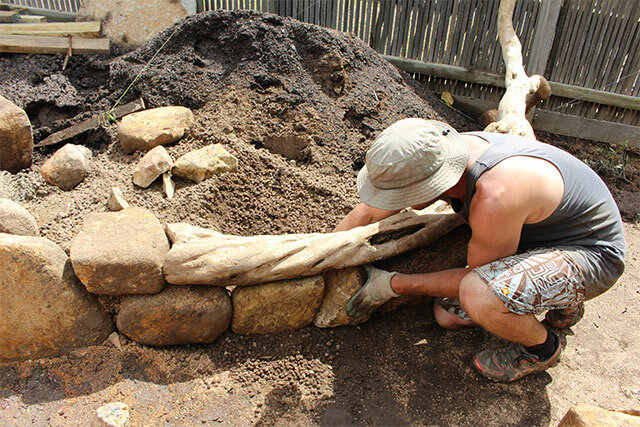 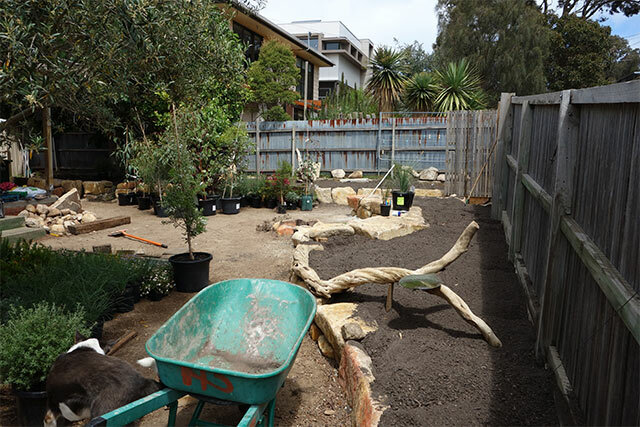 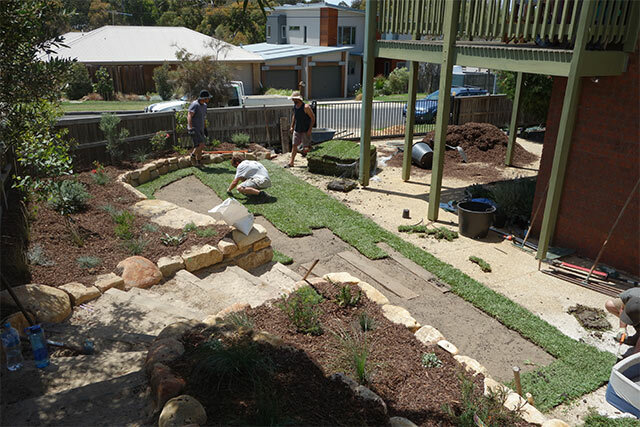 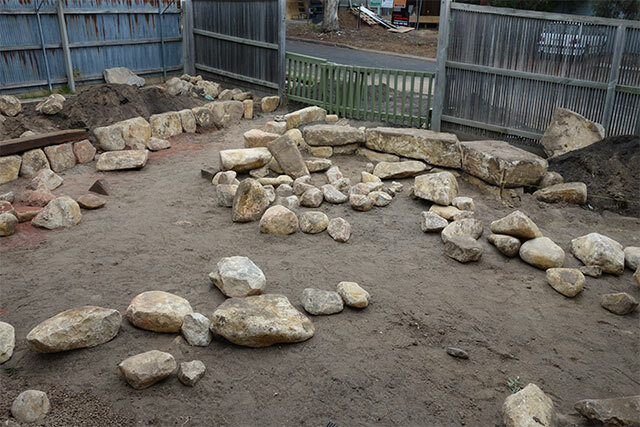 Brief: To create a beautiful spacious interactive family garden using native plants (to attract native birds) and a feature rockwork. 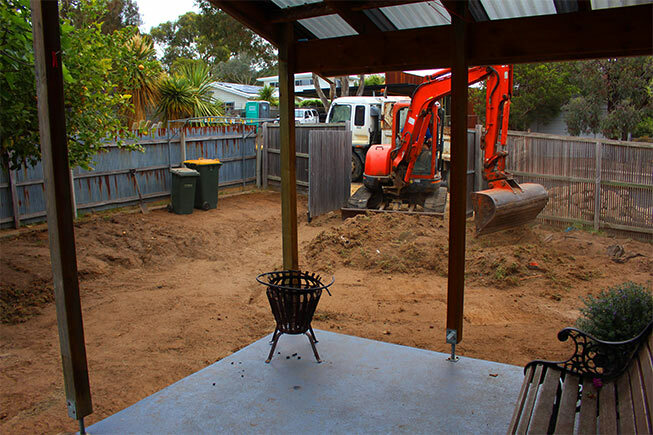 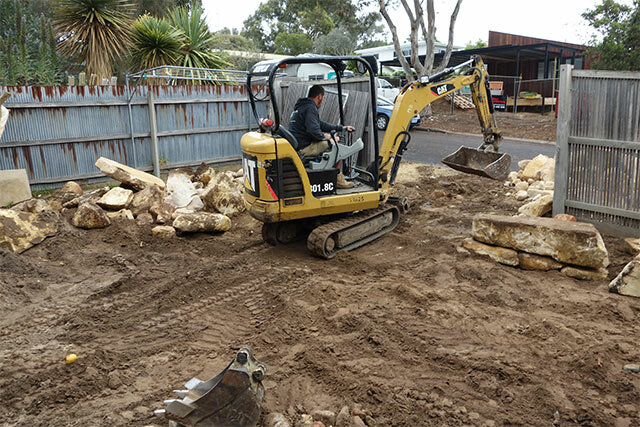 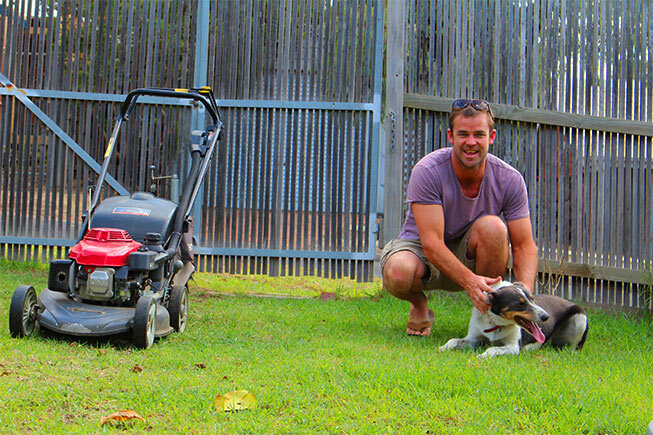 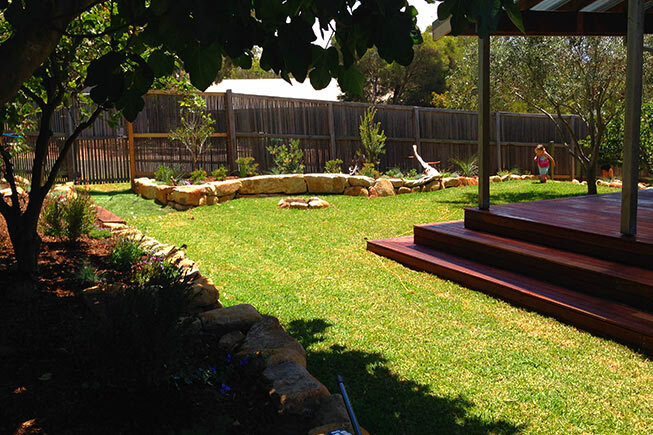 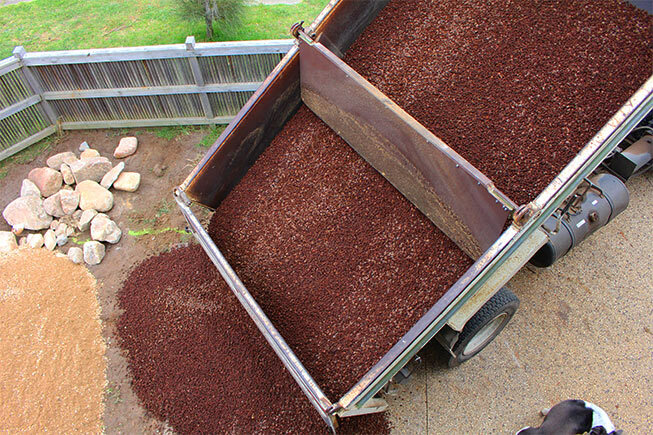 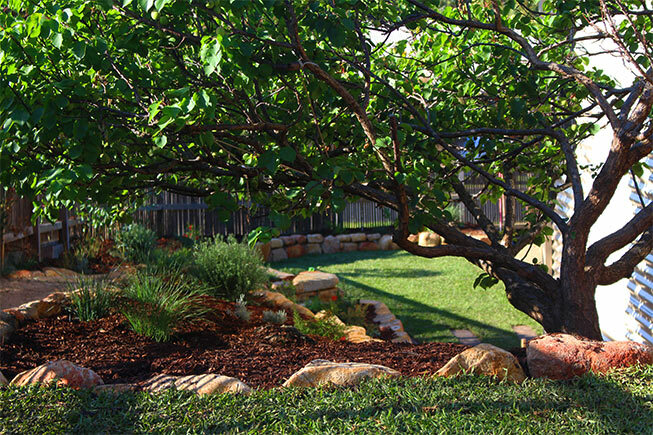 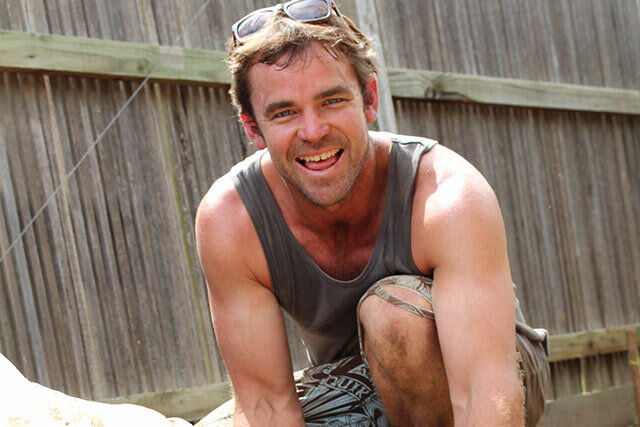 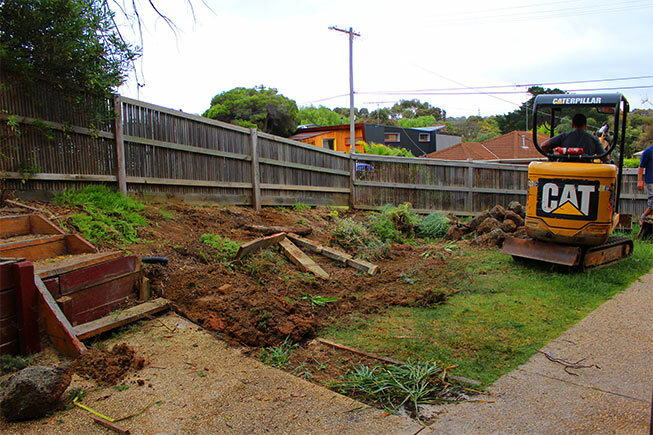 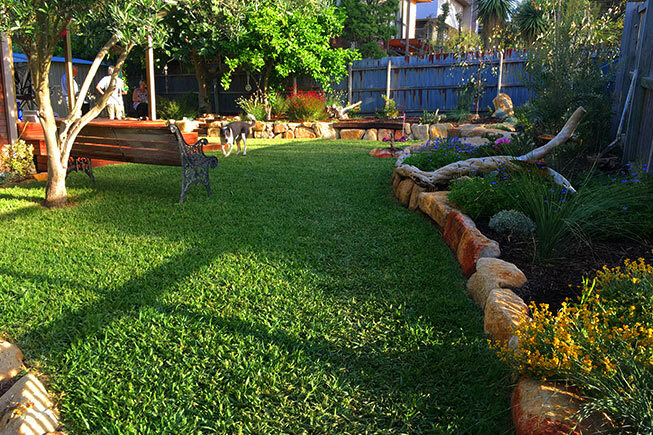 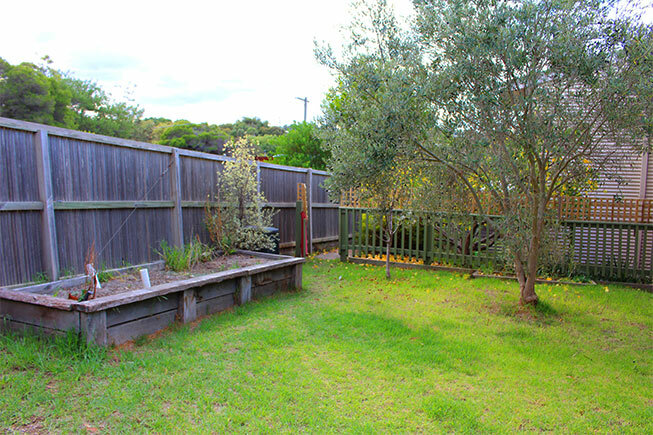 Yarra Landscapes is a Melbourne-based landscape design and construction company.